Melt the butter in a bowl. 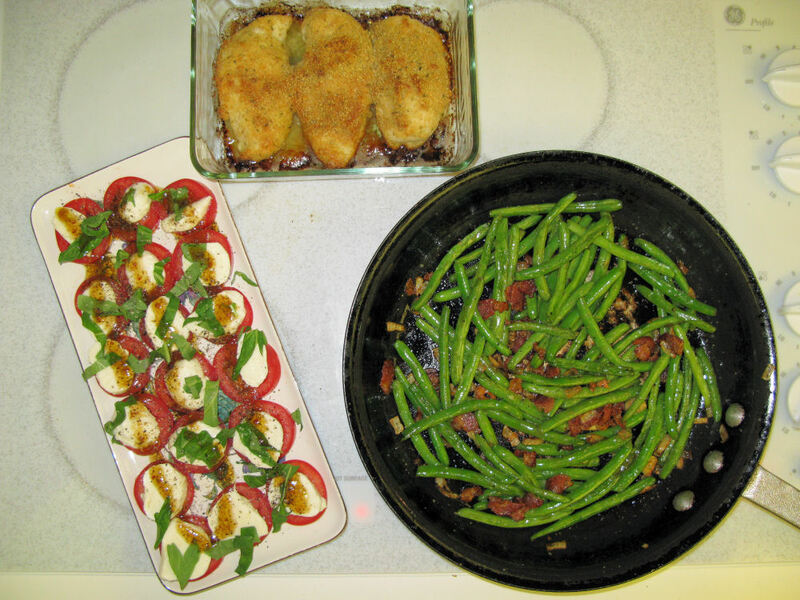 Mix Parmesan cheese & bread crumbs, spread on a sheet of waxed paper. Rinse the chicken breasts & pat dry. 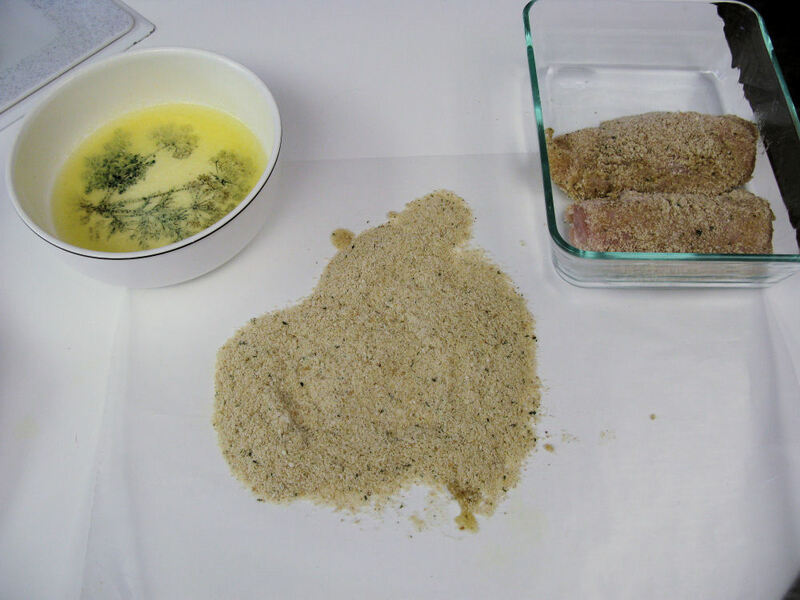 Dip each chicken breast in melted butter, roll in cheese/bread crumb mix until coated, place in oven-proof dish. Drizzle leftover butter and sprinkle leftover cheese/bread crumb mix over top of chicken . Bake in 425-degree oven for 25 minutes. 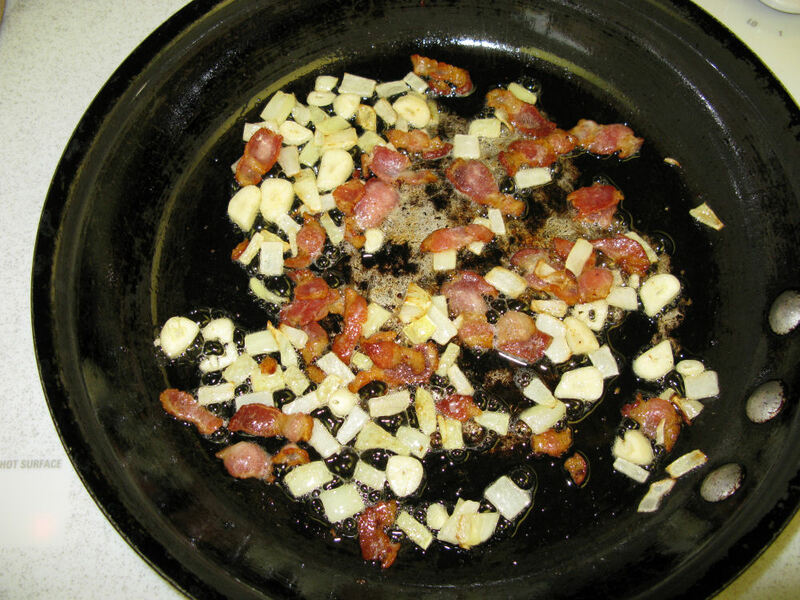 Cook the bacon in a frying pan. 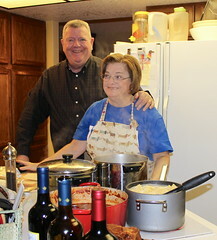 Don’t drain the bacon fat; leave it in the pan. 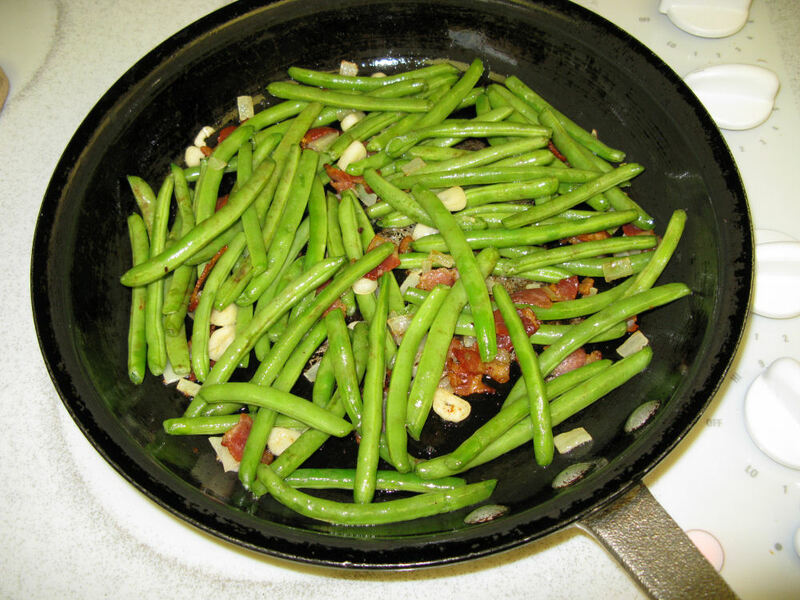 When bacon is close to done add chopped onion & sliced garlic, then add the green beans. Toss and sauté until beans are tender. Layer cheese on top of tomato slices, top with chopped basil, drizzle basalmic vinegar dressing over top.